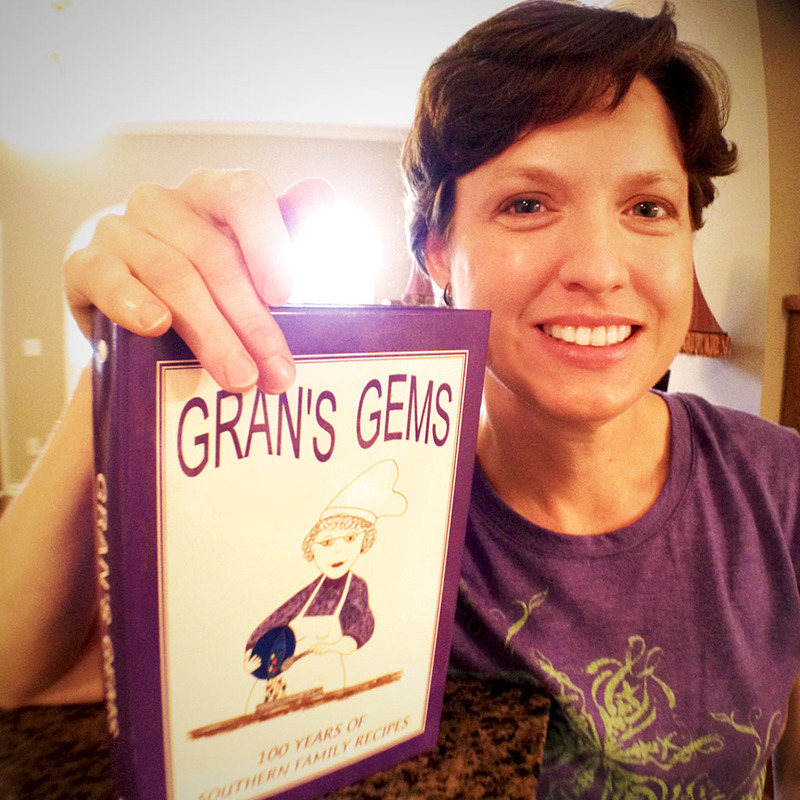 Jane Lanier Mapp drew the picture of her mother that graces the cover of Gran’s Gems cookbook. 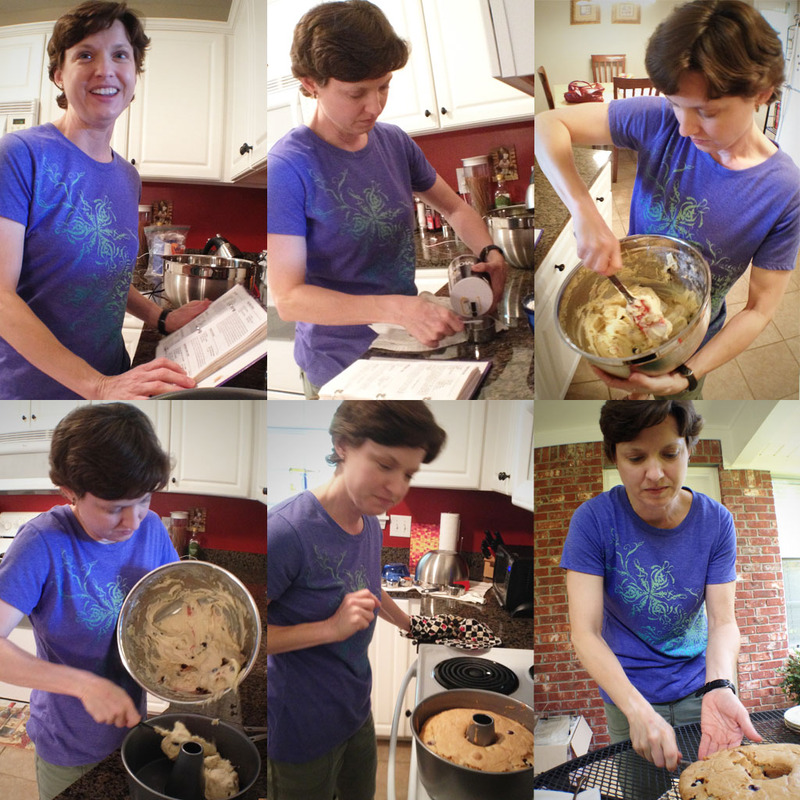 To transport herself back to her childhood days in Pontotoc, MS, Jane Mapp needs only to pull a purple cookbook off the kitchen shelf and whip up some fried pies, jug chicken, homemade rolls, or a squash soufflé. “Gran’s Gems – One Hundred Years of Southern Family Recipes” was written in 1998 by Jane’s mother, Jane “Gran” Rayburn Mapp Hardin, who earned her degree in home economics in 1956 from The University of Mississippi. The book took an entire year to compile, test, and write, but resulted in the publishing of nearly 400 tried-and-true recipes from relatives and family friends. Today, Jane, who now lives in Brandon, MS, and works as an attorney for the state of Mississippi, pulls out her lovingly worn book at least twice a month to find just the right dish she needs to take her home again. From how to boil an egg (included especially for Gran’s sister Angela, who needed some extra culinary tutelage as a young bride) to a recipe on cooking a three-day brisket (a time-consuming—but surprisingly easy—recipe from Jane’s great-uncle), the book is filled with a wide variety of recipes and dishes that not only accommodate cooks of all levels but that meet the demands of family members who would, otherwise, call Gran routinely to ask her to share her knowledge. Gran started the cookbook by culling through her boxes of handwritten recipes and recalling recipes from her own memory that she had never written down. She sorted and compiled those that meant the most to her family and that would carry on traditions for generations to come, like the chicken and dressing recipe from Grandmother Elese Rayburn and the 75-year-old BBQ recipe from Grandfather T.H. “Doc” Rayburn (freely acknowledged as the best cook in the family). She also wasn’t too fussy with including only certain styles of food, which lead to a book that features comfort foods like fried green tomatoes as well as fancier fare like asparagus with toasted pine nuts and lemon. “Being the Southern lady that she is, [for my mother] it’s still the era of teas and dinner parties,” Jane says. Cooking from her family’s cookbook often takes Jane back to her childhood and the tastes she grew up with around her family’s dinner table. With its anecdotes, names, and dates, this collection of recipes not only gives the Mapp family a sense of its own history, but it preserves precious memories of close family friends like the late Estelle Beckley, who worked as a maid for Jane’s grandparents and as a cafeteria worker at Jane’s elementary school. Today, the little book that began simply as a way to meet the demands of family recipe requests has had around 2,000 copies either purchased or given away as gifts. But an excerpt from Gran’s 1998 Forward reveals she may have anticipated the collection’s potential early on. Now out of print, the handful of remaining copies have been lovingly set aside by Gran to give to younger family members once they establish their own homes. Jane says her entire family cooks from Gran’s Gems and that everyone has adopted specially assigned recipes to make for holidays and family gatherings, like the baked pineapple casserole that Jane’s sister, Anelese, is always expected to make. With two sticks of butter and four eggs, the richness of this decadent cake is cut by two full cups of fresh or frozen blueberries. I’m totally psyched about trying out the recipe with the blueberries you brought home Shell! These articles I’ve read are as rich as the picture at the beginning of this one on ‘100 years of Recipes’, loving them! What a lovely article. I so much enjoyed reading about how their mother compiled and passed on such wonderful recipes and fond memories. We all know how a taste or smell can transport you thru time to a special place. What a wonderful legacy to pass on.